Here are some original origami pieces I've come up with on my own. As in the "Case of the Purloined Pig," discussed in Peter Engel's Folding the Universe, some of these may have been found independently. I have folded more original designs, using the US dollar bill. This was made for the independent film "Candy Wrapper Dragon." The diagrams for this model are here (Page 1 and Page 2). I did manage to come up with an idea for the engines on the famous X-Wing fighter from Star Wars. Valerie Vann e-mailed me and told me that it might be a variation on one of Gery Hsu's Origami Airplanes that Fly. Joseph Wu also e-mailed me, and mentioned that he came up with this at the tender age of 11. The engines are my contribution, however. Here, in four small thumbnail images, you can see the evolution of the flower. 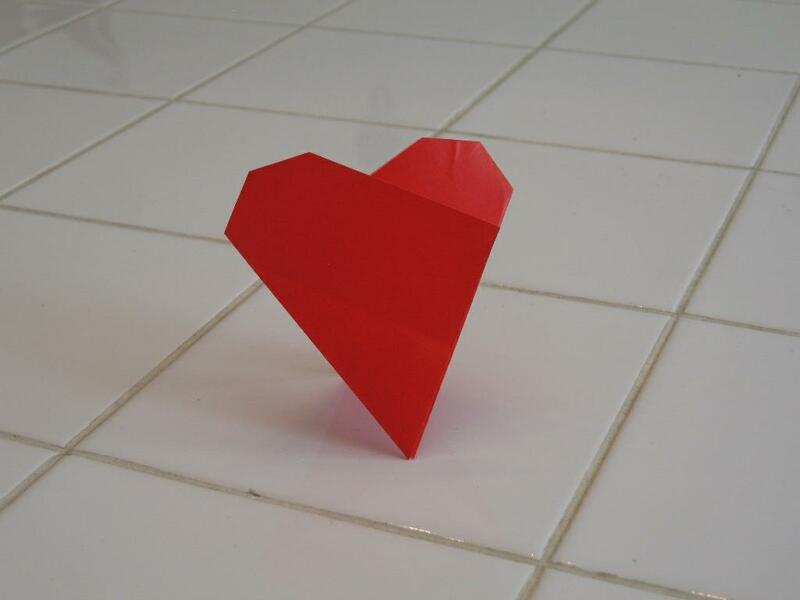 This model is very simple; it is a heart, and can slip into your pocket, mimicking your 'heart'! 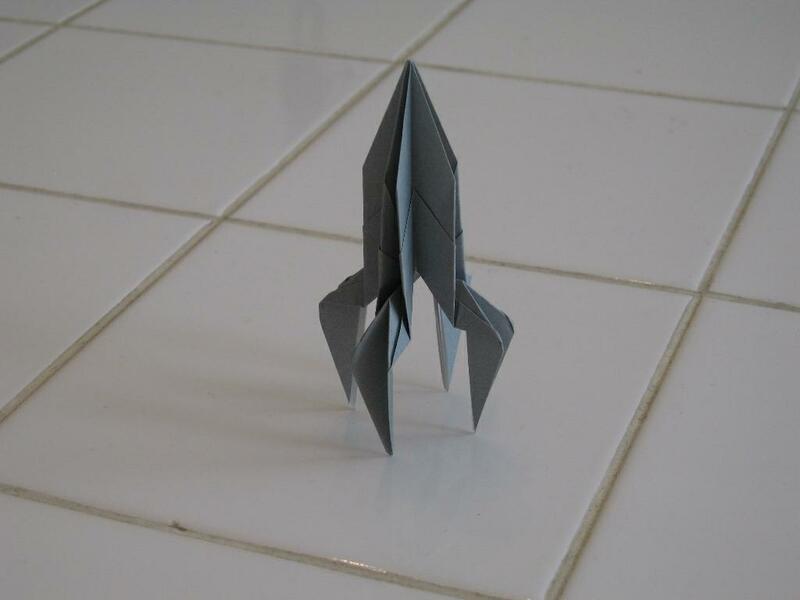 This is a simple rocketship, based on a 'bird base'. National Instruments is an engineering company that makes a great deal of great data acquisition and control software. While at an NI seminar, I realized the elegance of the NI logo, and did a bit of paper doodling. Here is an animated GIF of the folding operations.